Features:Great looking hinged silver plated clips. 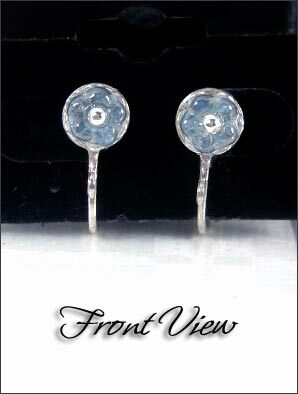 These are custom-made glass flowers and sterling silver seeds. 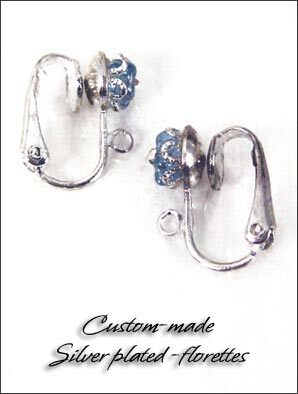 They are wonderful to make your own pair of earrings or to give a different look to a broken pair. Girly and pretty. Hinged based, if you are sensitive to pressure we recommend the use of clips cushions to provide comfort with these.